It didn't take long before Jimmy Butler showed everyone that he is worth the gamble, leading the Philadelphia 76ers to a comeback victory over the Brooklyn Nets, 127-125. 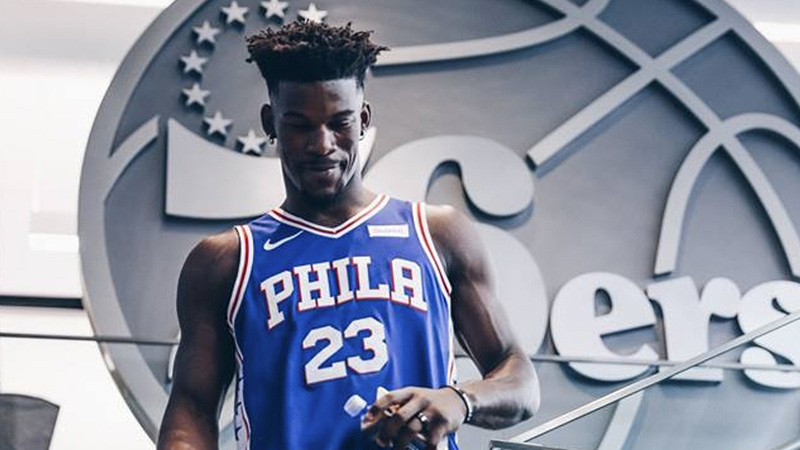 The four-time All-Star forward, who joined the Sixers via trade after an ugly situation with his former NBA team the Minnesota Timberwolves earlier this season, scored 34 points, including 18 in the fourth quarter and the game-winning three-pointer with 2.3 seconds remaining. Butler's latest clutch shot looked eerily similar to the one he hit against the Charlotte Hornets in overtime more than a week ago—a three from the right wing that spoiled Kemba Walker's 60-piece. He also had 12 rebounds and four steals, as the Sixers came back from 20 points down. Philadelphia won just their fourth game on the road (10-1 at home).